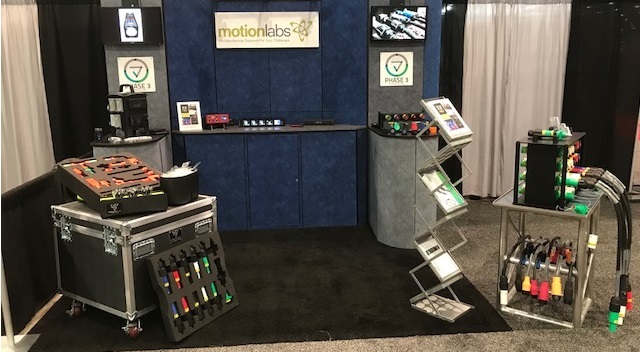 PHASE 3 and our North American distributor, Motion Labs, are at POWER-GEN International in Las Vegas. You can visit us at booth 9545 where we are displaying our whole range of UL approved connectors for Signal, Optical and Data transmission and Powersafe connectors. As the World’s Largest Power Generation Event, POWER-GEN International is the industry leader in providing comprehensive coverage of the trends, technologies and issues facing the generation sector. POWER-GEN International represents a horizontal look at the industry with key emphasis on new solutions, safety and innovations for the future – Phase 3 power connectors offer just that. Our global distribution chain allows us to service any industry from government, military, healthcare, events, power generation and cable assembly all over the world. Phase 3 manufacture the connectors and supply our North American distributors in large quantities, meaning we can offer a streamlined and quick service to US customers. Phase 3 offer the ultimate lighting power connectors for the US events and entertainment industries. Our UL approved P3-19 Pin Lighting Connectors have been developed to offer the highest levels of reliability and safety. The super robust construction of the 19 pin connectors ensures continual and reliable operation. If you would like a conversation or quote for our power connectors, please get in touch with Phase 3 on our contact page. Contact Phase 3 for a quote or more information on power connectors and our UL approved products for industry in North America.